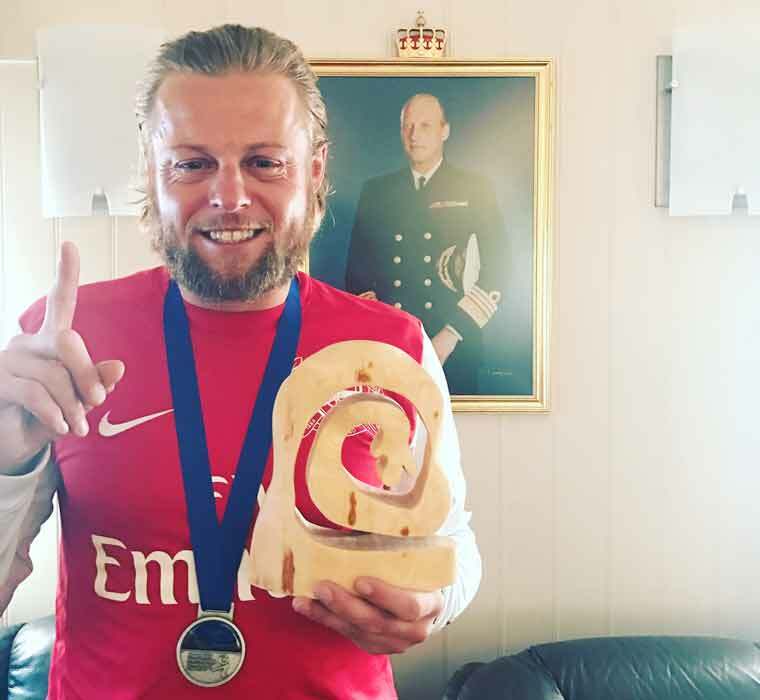 Lee, who is working in the Antarctic for ten weeks with TXI and KSAT, ran the Polar Night Run held in Tromso this month, which saw 1,800 people running on blue ice. To be able to run on the ice, Lee and the other runners had to screw their trainers into a studded base. For Lee, this was the first time he had ever competed in a half marathon, let alone on ice! Alongside Lee was friend Ken Pedersen. Both had arrived two days prior to the race, and therefore only had a few days to train. 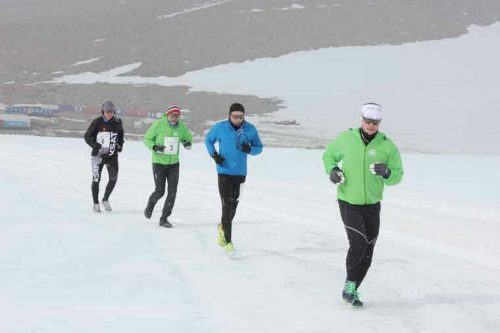 Other runners in the marathon had been training in the icy and cold conditions, with altitude of 1,200 metres, for a lot longer. The route started at the Norwegian Troll Research Station and onto an ice runway, which was about 8K, and had to be run around. Lee was about two minutes ahead at this point but by the time he came back around the runway his legs felt like they were going to cramp up.